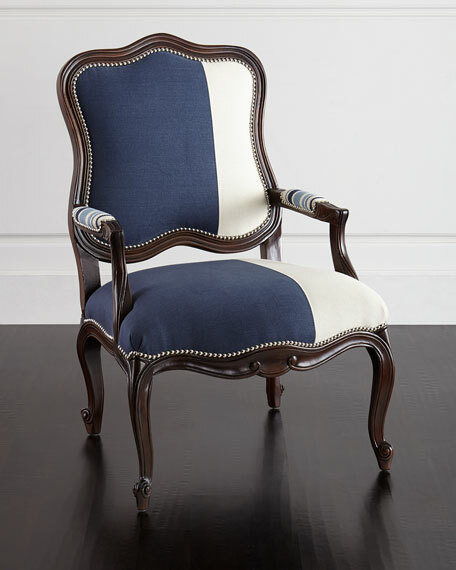 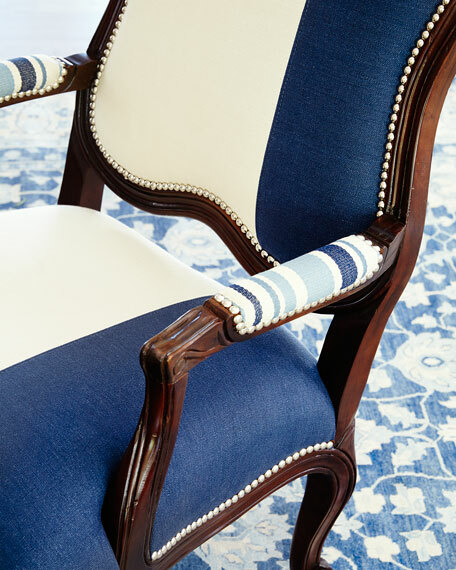 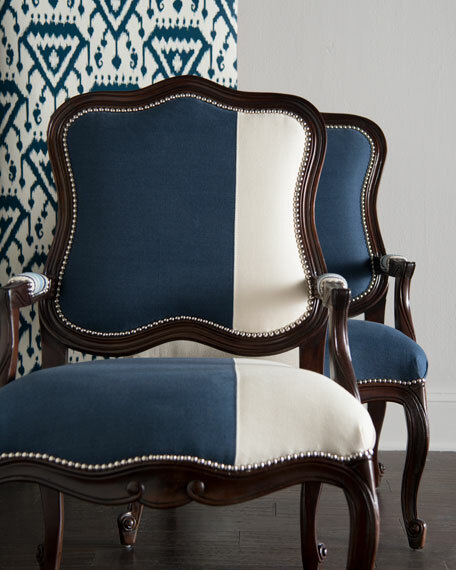 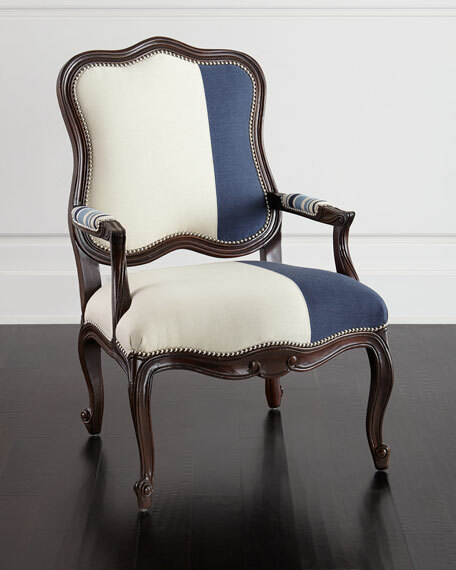 Cotton and linen upholstery with broad indigo stripe. 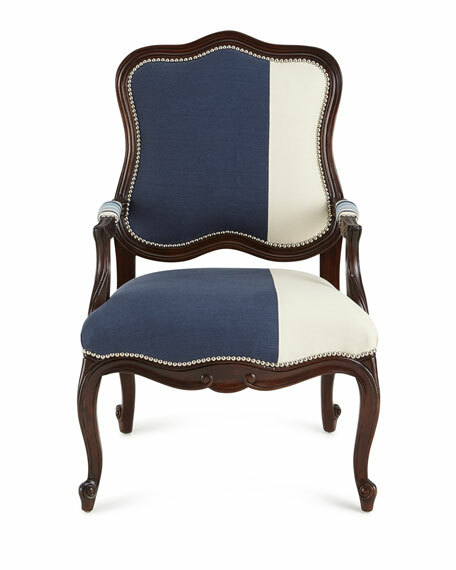 27"W x 31"D x 41"T. Seat, 22"W x 20"D x 18"T; arms, 25"T.
Cotton and linen upholstery with narrow indigo stripe. 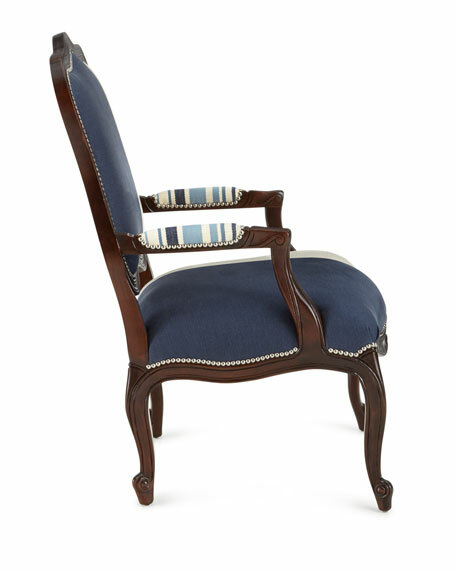 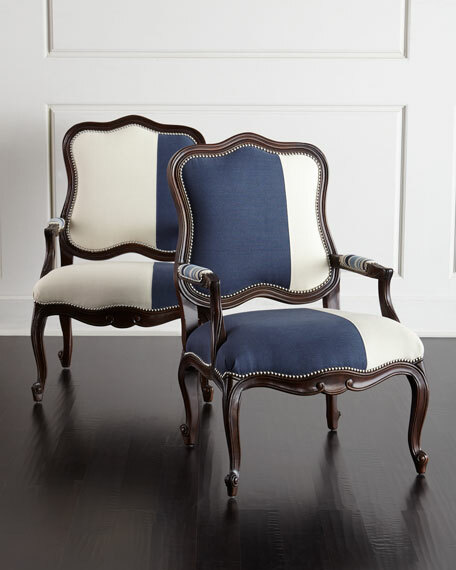 Set includes Michael chair with broad indigo stripe and Madison chair with narrow indigo stripe. 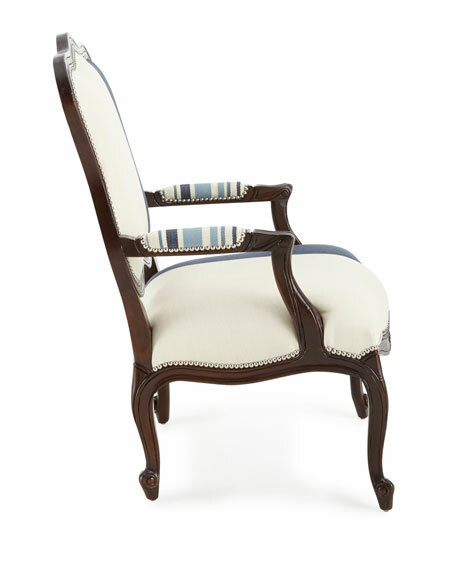 Each, 27"W x 31"D x 41"T. Seat, 22"W x 20"D x 18"T; arms, 25"T.